Fri., Sun., Mon. 6:00 - 9:00 p.m. Sat. 8:00 - 11:00 a.m. Coaches and players from Germany will travel to McKinney, Texas. They will coach, play, and train with the participants at the German International ID Soccer Camp. Every full paying camp participant will receive a camp jersey. Jersey will be delivered at the camp if registered by deadline, otherwise it will be received at a later time. Players will be selected for an expense-paid* trip to Germany. *Players only pay for their flight to Germany. Meals and accommodation will be covered. The German International Soccer Camp is made possible as a result of AYSES partnership with Schächter Management Sports out of Germany, an affiliated academy partner to the Bundesliga Club of 1.FSV Mainz 05. Get the opportunity to go to Germany on the expense of just an airline ticket! Traveling players will have the option to stay with families while in Germany, which means their only expenses will be airfare and spending money. A program arranged by our German counterpart will guarantee the participation of players in friendly matches, training sessions and tours to Bundesliga Clubs. In cooperation with AYSES, Schächter Sports is looking for the best American soccer prospects in all age groups! The best 15 players will be representing a selection which will have the possibility to travel to Germany and participate in a youth tournament, visited by top European soccer scouts. In the tournament, the team will further face international competition out of the German Bundesliga pool. American youth players will get the chance to go to Europe and train with teams individually. 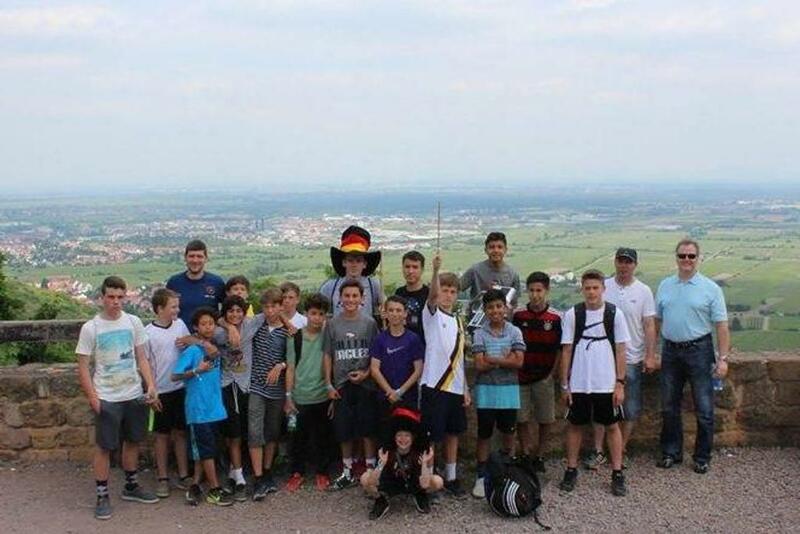 The trip will be organized by our German counterpart, providing individual players with the opportunity of training for a maximum of 2 weeks with 3 teams of different levels. Every participant will be further evaluated by German coaches to determine his level and where he stands compared to European top level soccer! This opportunity is not only one to present yourself as a player, if provides you with feedback and the possibility to work on what is missing to reach the next level. The written feedback of professional coaches further gives the player the possibility to use the results of the trip as a letter of recommendation for college scholarships. At the end of the camp, an All Star team will be picked to travel to Germany to participate in the Porta Nigra Junior Championship Cup, a top youth tournament with top German Bundesliga youth clubs participating. You will get the opportunity to play against some of the top youth programs in the world. A true proving ground for any young soccer player aspiring to play at the highest level. How do I get these opportunities? Register for our German International Soccer Camps, which are held at Fairview Soccer Park in McKinney. The camps are open for all players, regardless of team affiliation. Schächter Sports is the official academy partner of the German Bundesliga team 1.FSV Mainz 05. Furthermore it is the largest soccer academy in southwest Germany, having more affiliations with clubs in Singapore, Poland, Canada and Japan and well-known European teams such as AS Roma or AC Milan. ©2019 NORTH TEXAS YOUTH SOCCER CLUB IN ALLEN MCKINNEY PLANO - Advanced Youth Soccer Educational System - AYSES / SportsEngine. All Rights Reserved.